Action Movie FX lets you add Hollywood style visual effects to your videos. The results that you get from this app are sure to wow your friends. 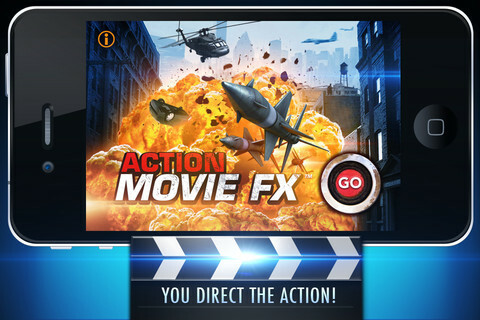 The app is really simple to use: all you do is choose an effect, like missile attack for example, shoot some video footage, and Action Movie FX adds that effect onto your scene. The greatest thing about this app is the quality of the effects, they really are top notch and look very realistic. Just like you'd expect in a Hollywood blockbuster action movie. Even in the screenshots below you can tell how good the effects look. When shooting your video try to shoot in an area that has a flat surface so the missile, for example, looks like it's hitting that surface. 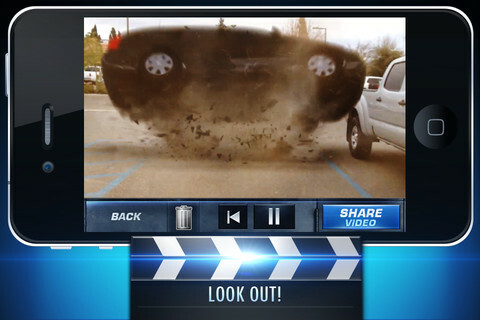 While you are filming the app gives you some guidance by showing your where the object in the effect is going to land (for example there's a demolition ball effect so you see an overlay where it's going to hit). Just play around with the app a few times and you'll nail it. 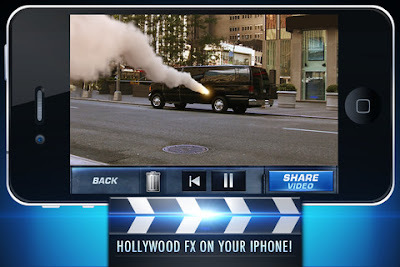 After you've shot your video the app lets you choose just the right timing where to add the effect. Once you're satisfied with your result you can save the video locally to your camera roll, email it, or share it on Facebook. 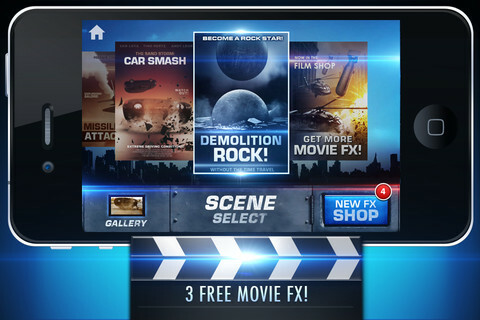 Action Movie FX is free and comes with 3 free effects, you can buy more in the app itself.